With great sadness we pass on the news that S. Mullawa Dodd passed away today (10/11/2014). We understand that Mr. Dodd entered the hospital for surgery and developed pneumonia. 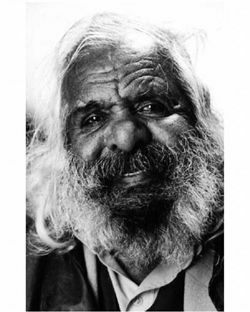 Mr Dodd was a true Indigenous pioneer. He was a victim of the “stolen generation”, he served in the Australian Army, he played music and was a magnificent actor.